In today’s economy, many major cities are struggling to attract and keep businesses. One of the cities that has seen a major growth recently is North Las Vegas. The city is home to Amazon, Fanatics, and The Honest Company, three companies that among them are costing the city significant amounts of money, yet promising to create thousands of jobs for out-of-work residents. As the regular improvement of North Las Vegas continues, economic growth is becoming more and more prevalent. The city has taken many steps to revitalize its community and provide residents with places to work and to live. Real estate and commercial developments have become the primary activity in North Las Vegas and this trend is likely to continue. As more and more large companies realize the value of running their operations from the city, quality of life is set to improve for everyone. With the expected opening of new schools and hospitals, the community is thriving as it never has before. The growth of housing in North Las Vegas is expected to attract employers in the coming months. According to the city’s Mayor, North Las Vegas is posed to be the best place for the creation of diverse jobs in fields such as manufacturing. A new housing development being planned for the city is meant to attract corporate executives due to the availability of upscale housing that will allow them to live near the operational base of their companies. There is also hope that the increase in housing will motivate working individuals in all industries to relocate to North Las Vegas. It is the hope that the expected job growth in the area is will lead to new activity for the city. In 2017, the City Council of North Las Vegas approved a plan for real estate development that is meant to help attract businesses to the area in the city’s continuing effort to create more jobs. Thanks to efforts such as this, businesses are already flocking to North Las Vegas in droves. In fact, the roughly 2.2 million square feet of land available in the city paved the way for buildings that were leased by Fanatics, Amazon and The Honest Company. Since businesses that already have a location in this area are performing well, the city’s Mayor is hopeful that this will help attract retailers not previously interested in the space. One of the reasons that so many companies are opening centers in this city is the available land. Half of the city’s land has been empty and are already prime areas for current and future development. This is a big plus to developers that are always looking to construct large buildings, that will in turn, attract large businesses. The development process in North Las Vegas has long been known as quick and easy, making it appealing to big businesses. In an effort to help build up the city, a self-certification program was initiated that makes it possible for building permits to be acquired within four days of applying for them. As a result, construction of new buildings can be completed quickly and developers are able to save a significant amount of money in the process. 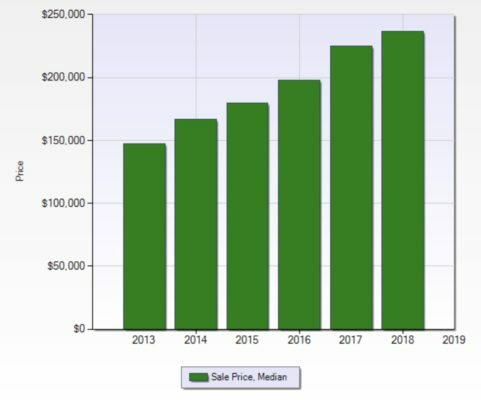 North Las Vegas home values have continued to rise year over year for the past 5 years. This chart of sales in the area includes Single Family Properties. At the end of 2017, North Las Vegas saw a median home price of $225,000 that is continuing to rise in 2018. The Amazon Fulfillment Center in North Las Vegas conducted interviews to employ a total of 500 employees as of May 2017. The eventual plan is to employ 1,000 people with full time positions at the center. Before the grand opening of North Las Vegas’s Fanatics, it was estimated that the Fortune 500 company (the first to be located in North Las Vegas) would create tax revenues in excess of $18.3 million between 2017 and 2027. In a quote from Mayor John Lee he stated that a growing number of companies are making the realization that there is no better city to do business in than North Las Vegas. He went on to add that the opening of Fanatics and other major companies in North Las Vegas is the proof that the city has been reinvented and hosts worldwide businesses. Non-profit organization Goodwill opened a new location to serve as a store and donation center in North Las Vegas in 2015. Over 40 jobs were created with the opening of this new location. Mayor Lee commented at the time that having a Goodwill in the city was a good addition to it. He also said that in addition to bringing full-time career type jobs to the city, the new Goodwill store also served to strengthen the city’s economy and provide its residents with an affordable place to shop. In 2016, Hyperloop One announced it would be opening a new location for its manufacturing plant. Hyperloop One is a transportation company that sends high-speed pods shooting down pneumatic tubes. Their North Las Vegas facility will be used to test parts that will later be produced for its prototypes. Its lab will also be responsible for improving the tools used to enable the cutting of steel through the use of high-water pressures. This facility is expected to bring an undetermined number of jobs to the city of North Las Vegas. Thanks to the opening of a new Van Trust facility in North Las Vegas, the total number of new jobs created by Van Trust, Fanatics and The Honest Company collectively, is in excess of 2,000. Van Trust is a real estate company that is currently in the process of developing an industrial park that spans 120-acres and houses the Northgate Distribution Center. In addition, Van Trust purchased another 60 acre plot directly across from the distribution center in order to build another development spanning 1.3 million square feet. Developers have embraced the changes taking place in North Las Vegas and are working quickly to do their part in improving the local economy. With the support of a Mayor dedicated to making his city better, North Las Vegas is quickly becoming the new hot spot for businesses. Only time will tell if it continues to be a hot spot, but all signs point to success in this matter. 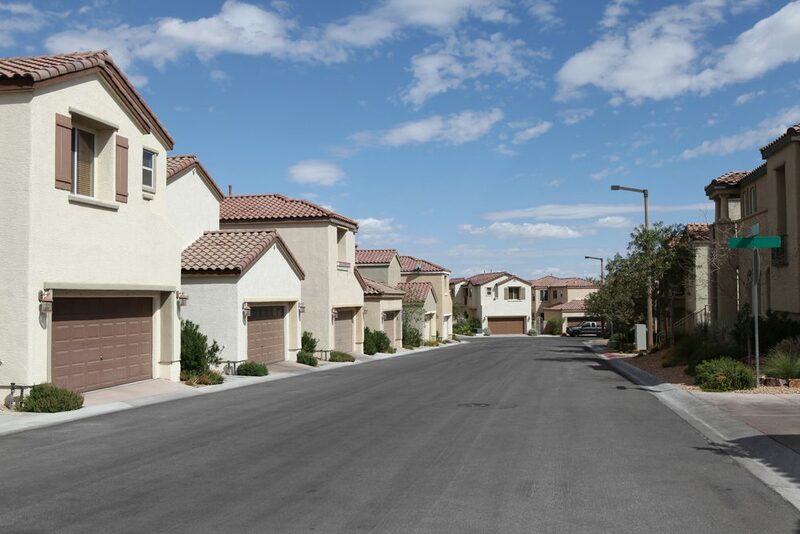 North Las Vegas is transforming into a neighborhood that all of its residents can be very proud to call their home.